Summer Infant Lil' Loo Potty Only $6.79 + FREE Prime Shipping (Reg. $11)! You are here: Home / Great Deals / Amazon Deals / Summer Infant Lil’ Loo Potty Only $6.79 + FREE Prime Shipping (Reg. $11)! Summer Infant Lil’ Loo Potty Only $6.79 + FREE Prime Shipping (Reg. $11)! If you are going to be potty training your little one like I am, then you need this deal! 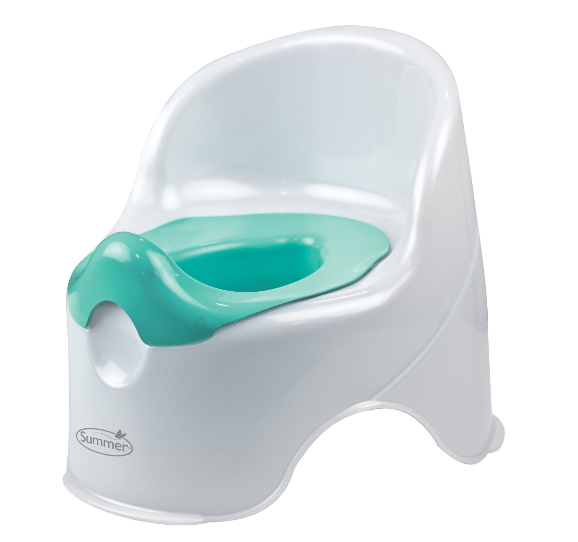 Check out this Summer Infant Lil’ Loo Potty (white/teal) for only $6.79 (Reg. $11)! This is such an awesome price as the ones I see at the store are all $20+! Plus, FREE 2-Day Shipping is available with Amazon Prime or FREE with orders of $35 or more (sign up for a FREE 1 month trial here)!